‘Jennifer’ is one of the women we were able to help. Our emergency shelter is full every night. In 2015, we supported 206 women and 81 children out of homelessness. However, in the same year, we turned away 375 women and 281 children because we were, simply, full. With your support we can ensure that no vulnerable woman or child is turned away in the future. Reductions in funding have been ongoing for a number of years, meaning that raising funds from companies and individuals, is vital to our ability to be there for women and children who are homeless or at risk of homelessness in Cork. The support of individuals like you, companies like the one you work in or own, sporting clubs, social societies and the people of Cork makes a very real difference to the lives of women and children who are homeless or at risk of homelessness in Cork today. 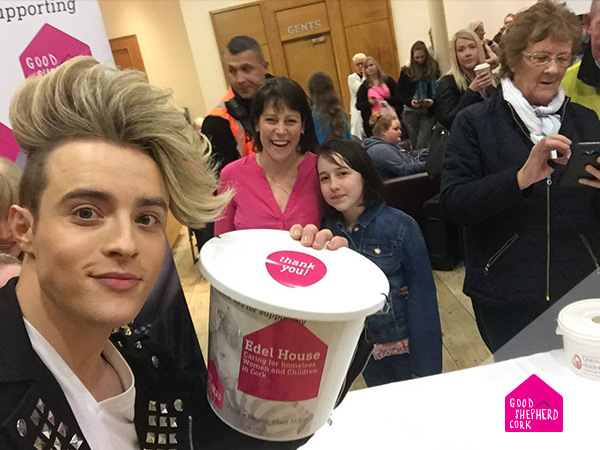 We take our responsibility to our donors seriously, we realise that you have donated out of a desire to help vulnerable women and children in Cork and we work very hard to keep our overheads down and to ensure that money donated has the most impact on those who have the least. Our fundraising takes many forms from individual donations and legacies, to corporate support, grants from trusts and foundations and sponsored events and challenges undertaken by individuals. We would like to thank the many individuals and companies who have supported us to date without their support we would not be where we are today. There are many ways in which you can support us, we hope you will be inspired by some of the suggestions on this site and we are, of course, always delighted to hear new ideas! Do get in touch, call 021 439 1188 or email: fundraising@goodshepherdcork.ie.